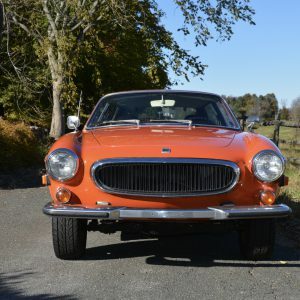 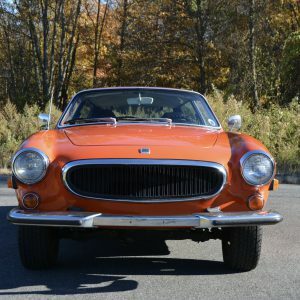 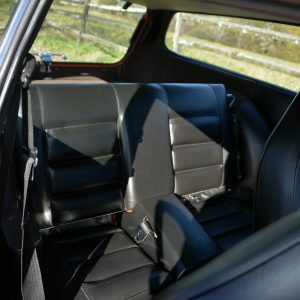 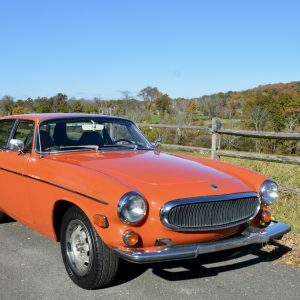 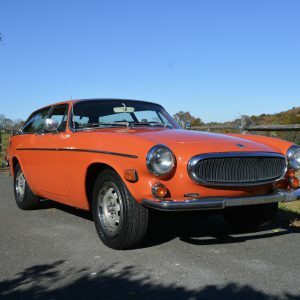 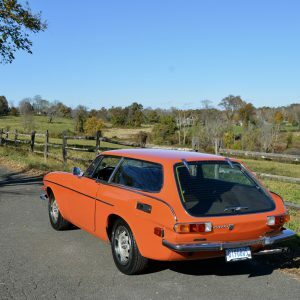 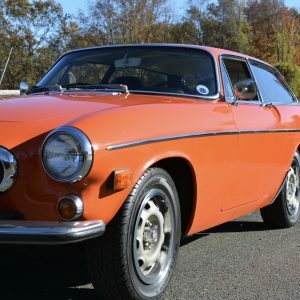 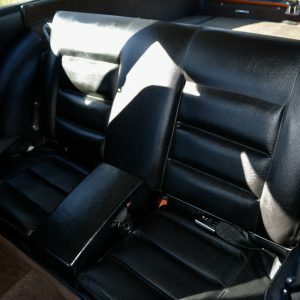 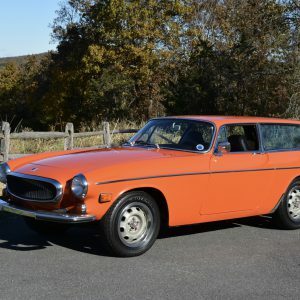 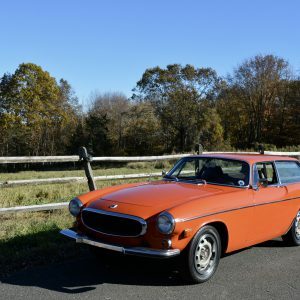 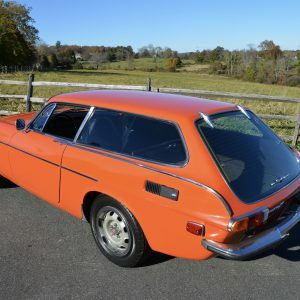 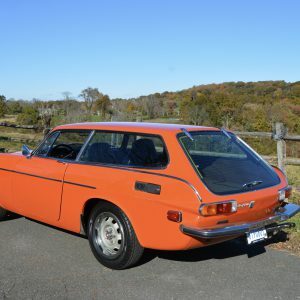 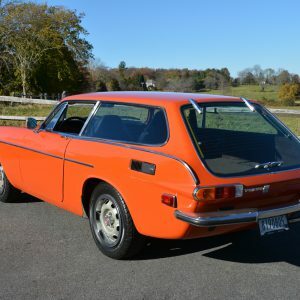 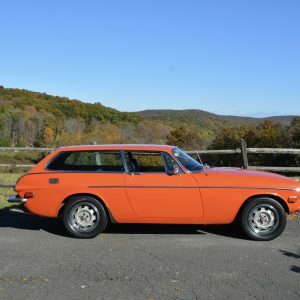 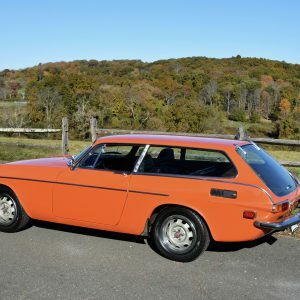 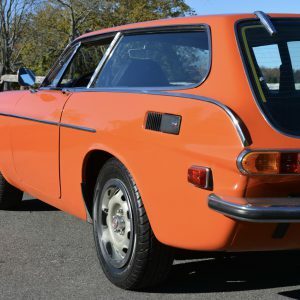 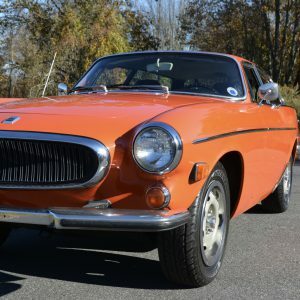 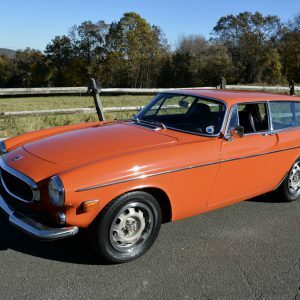 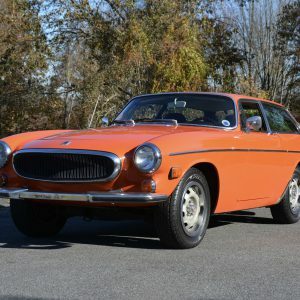 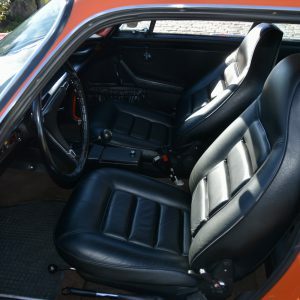 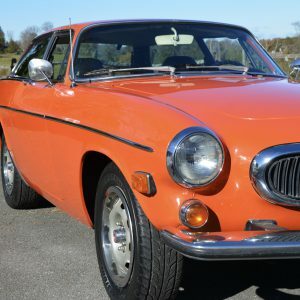 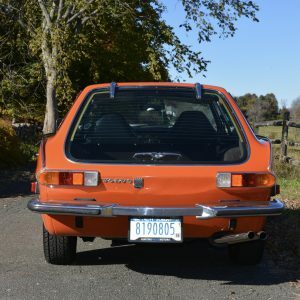 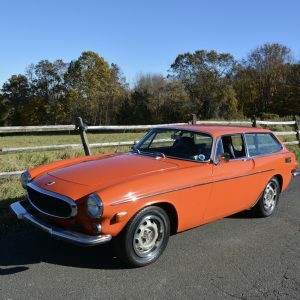 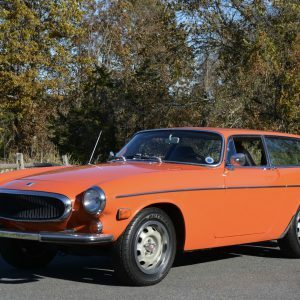 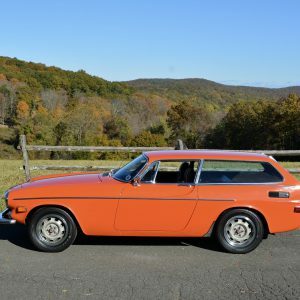 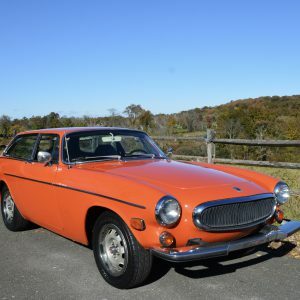 1973 Volvo 1800ES finished in Orange with Black leather interior. 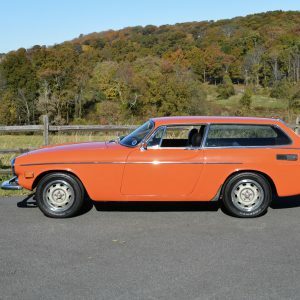 Originally from California, this 1800ES has to be one of the finest and most original examples we have seen in years. 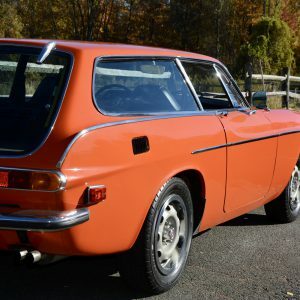 Completely rust free, this pristine example still retains most of it’s original paint. 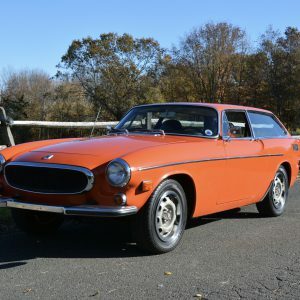 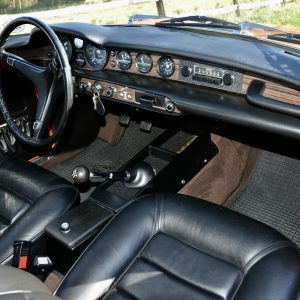 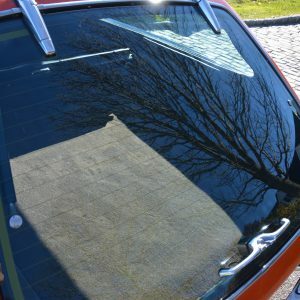 Delivered new in California and with a long period of ownership by the president of the Los Angeles P1800 club, the car was then acquired by an Oregon owner who fitted a new headliner, carpets, and upholstery and most recently owned by an enthusiast in Louisiana. 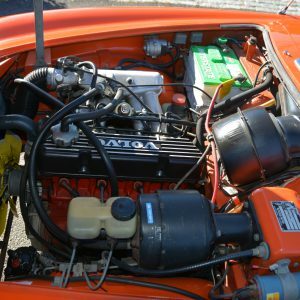 Power comes from a 2.0L 4-cylinder mated to a 4-speed manual with overdrive, with the most recent major service occurring in 2014. 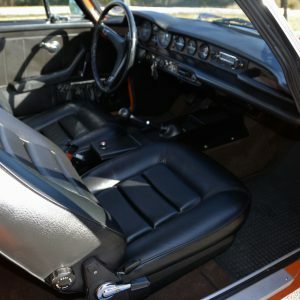 Items replaced within the past three years include the latch internals for the hatch, the rubber engine and transmission mounts and fuel pump. 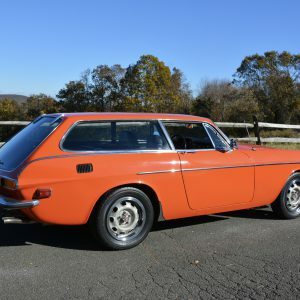 The sale includes records from the previous three owners, factory manuals, spares, and a clean unencumbered title. 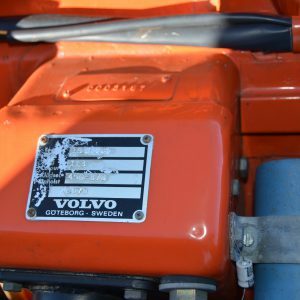 The B20F 2.0L 4-cylinder received a tune up in 2014 while with the previous owner. 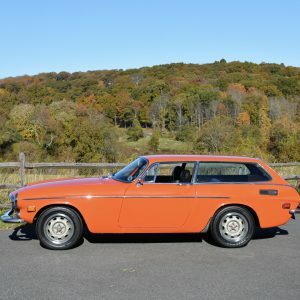 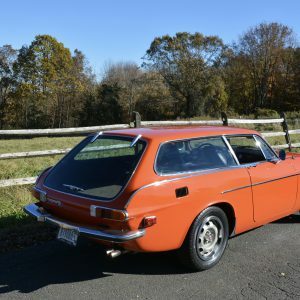 In the last three years, the car has had the rubber transmission and engine mounts, replaced, adjusted valves, points, and timing, and a new fuel pump installed along with new spark plugs, fuel lines, and a fuel-pressure regulator. 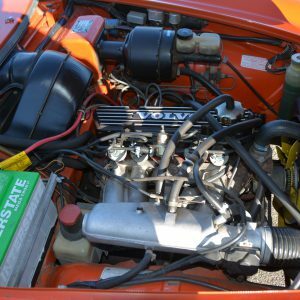 In addition, the coolant was flushed, as well as the steering, brake, and differential fluids. 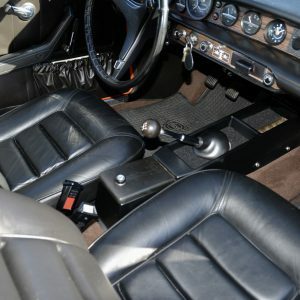 The transmission is an M41 4-speed manual with Laycock overdrive. 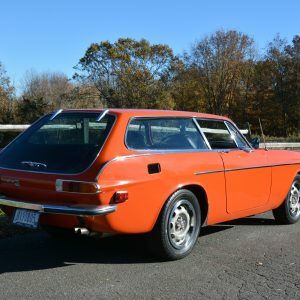 The exhaust and hangers, ball joints, and several bushings were replaced in 2014. 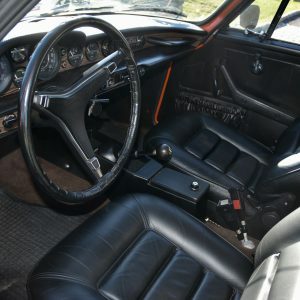 All maintenance has been done using OEM components except for an IPD finned valve cover, stainless-steel brake lines, and KYB shocks and struts.